we woke up to beautiful weather…may not lastbut hopeful we can avoid thunderstorms! 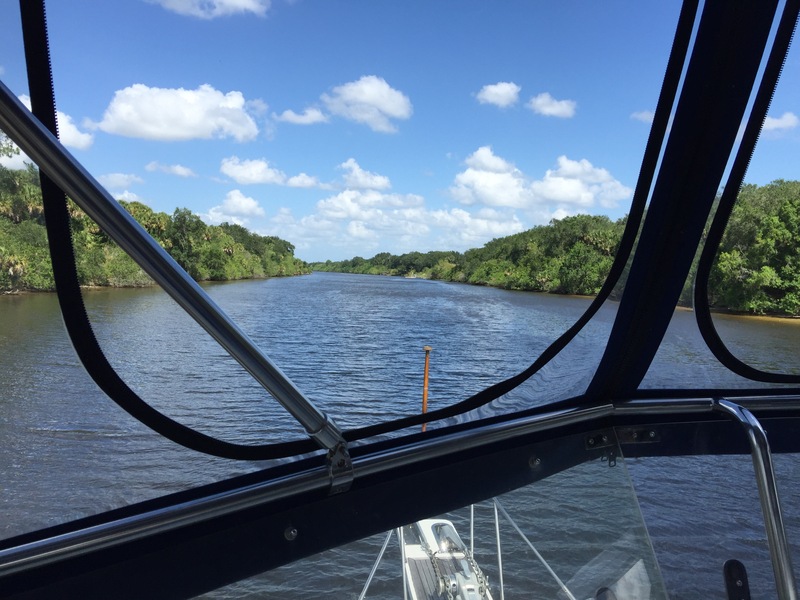 We stayed at Indiantown marina after going through Port Mayaca lock. 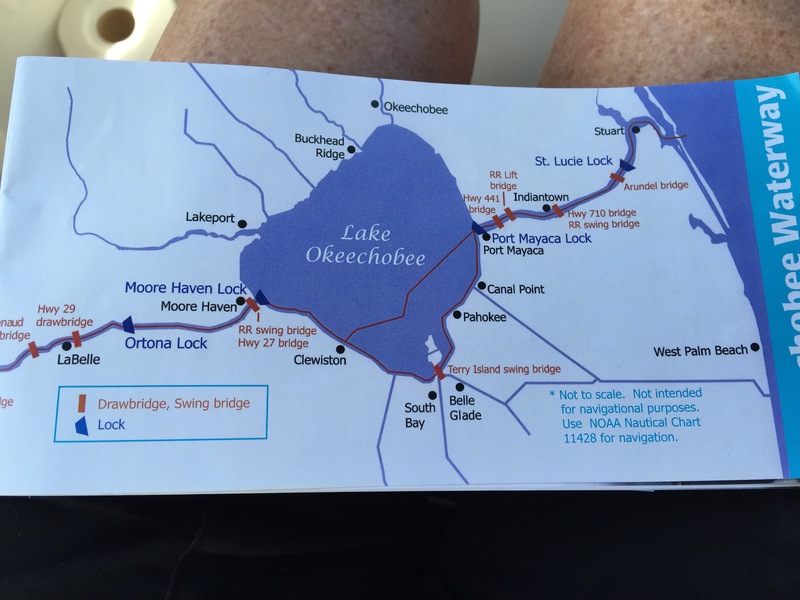 We have two more locks to go through and then we will be on the Atlantic intercoastal waterway. The marina offered a free ride to a local Italian restaurant so off we went and it was great. I will try posting photos. Will keep you updated and we’re having a great time! 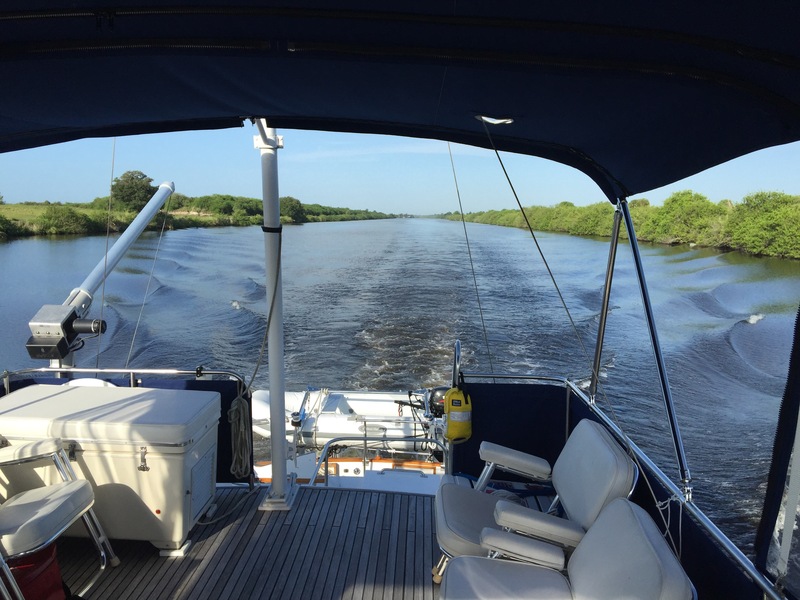 After getting away from the dock at tarpon point marina in Cape Coral, we had a wonderful but windy ride to Port LaBelle fl. Our take off time was delayed a bit, but leaving at noon was great. With an unknown of lock opening changes we needed to stop earlier than hoped, but it’s in a great spot! 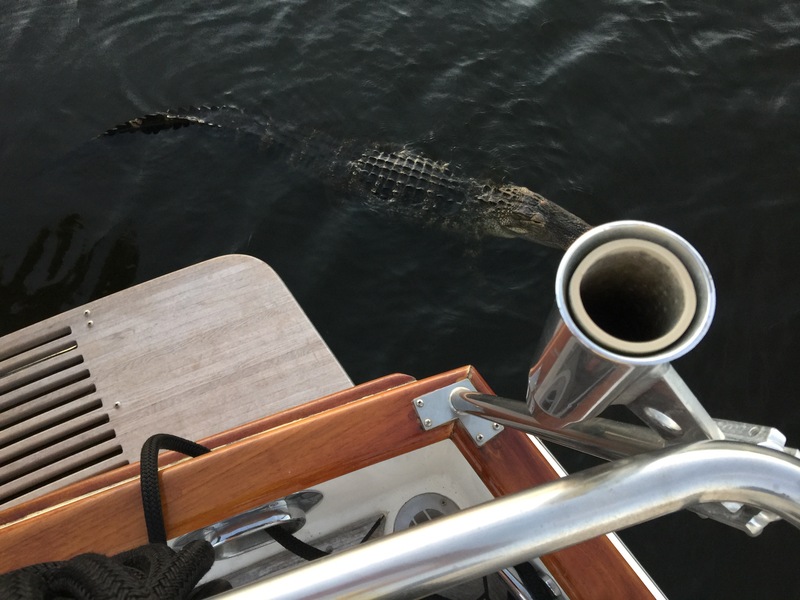 A small alligator swam up to our swim platform scaring me to death! Hopefully we can make it over the lake tomorrow. This was a great day! In spite of thunder clouds with potential rain, we are hoping to be in Cape Coral tonight to leave in the morning for Moore Haven FL ( near the entrance of Lake Okeechobee). 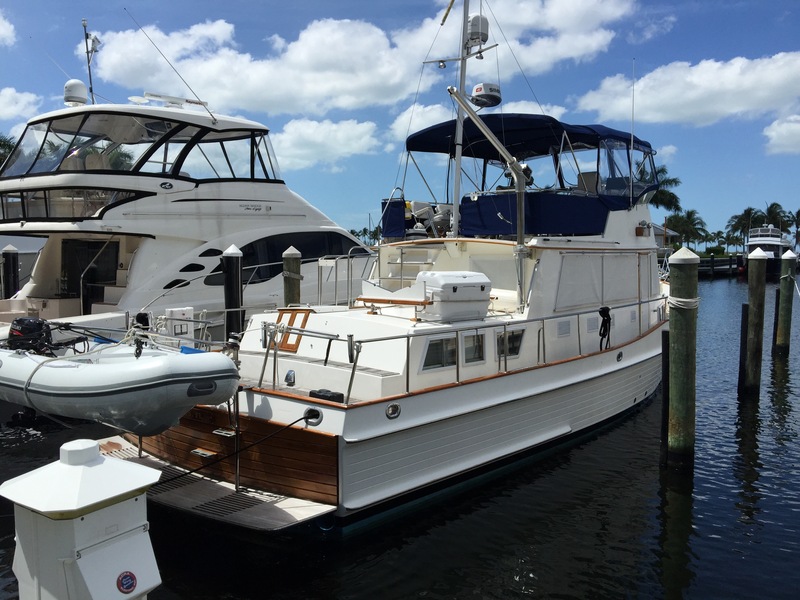 We are heading up the inland waterway for the first time with our new boat, Bucket List, a Grand Banks 42 Classic. Please join us on our journey, blogging for the first time, and both of us very excited to get underway with this adventure. Happy Memorial Day, May 25, 2015. I will be adding our SPOT coordinates, photos, etc. when I learn how to! Enjoy the Holiday!